How to make sure that 11 000 employees in 1500 stores in 8 different countries have the skills they need - when they need it? Varner is one of Northern Europe's largest fashion groups with 11,000 employees and 1,500 stores in Norway, Sweden, Finland, Denmark, Iceland, Poland, Germany and Austria. The group consists of fashion chains Bik Bok, Carlings, Cubus, Days Like This, Dressmann, Dressmann XL, Urban, Volt, Wow, Levi's Store and Nike Store. We took a chat with Gerd Tove Myrbekk who is HR Manager Sales & Store Operations in Varner. - No matter where you work in Varner, our corporate culture is extremely important. We want everyone who works with us to look forward to working every day, to put our customers and our stores in focus. Varner is a value-driven company, where people are at the center of everything we do. What made you choose Motimate for Varner? - We have about 11,000 employees who work in our stores in 8 countries. We have high turnover and it is demanding to teach all new employees what they need to know in their job. We must make sure that our employees receive the necessary training and become good at their job. To reach everyone quickly and easily, we wanted to change from traditional e-learning to mobile learning. All young people today have a mobile phone and they have the phone with them everywhere. Motimate gives employees the opportunity to complete the training when it suits them. Motimate is easy to use for both employees who are to carry out training and for those who are to produce training, says Gerd Tove. - We use Motimate to give new employees basic knowledge. In Motimate, Store Managers and Sales Assistants find the most important thing they need to know in their job when they are new. They learn about Varner and the chain they work in, the products in the store, tools, systems and routines. In addition to basic training we also use Motimate to tell employees about news and changes that will come. Product training is an example of training that is updated (news) every season. Varner was actually the very first company to choose Motimate. We are curious about what Varner sees as the biggest advantage of Motimate compared to other solutions? - Motimate is easy to use for those who are to undertake training. It is also easy for those who are to produce training. This allows us to quickly inform everyone about news and changes. 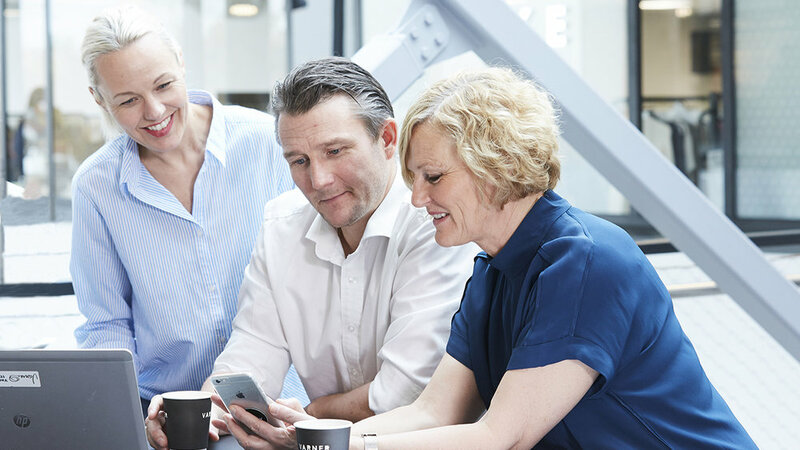 Perhaps the most important improvement is that we can now reach out to all our employees in a quick and easy way, concludes Gerd Tove Myrbekk.